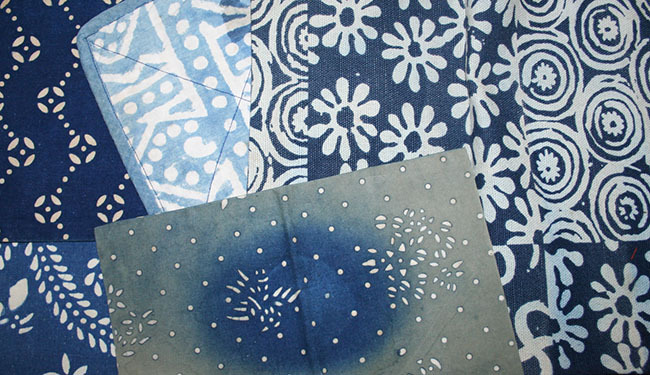 Kimoyes item: 22405 - 5 pieces of Japanese vintage cottons in various sizes. 5 pieces of Japanese vintage cottons in various sizes. the largest is about 8 x 9 inches. All are self lined.